Waiheke Island is a stunning place. It’s pretty cool to just say “I have been to Waiheke Island”. 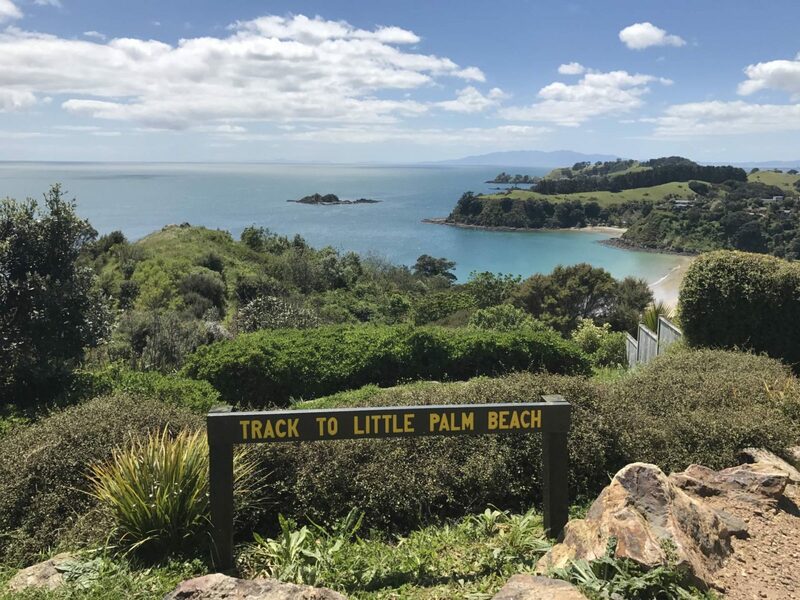 Waiheke Island is only 10 miles or so from the heart of Auckland. I would say visiting here should definitely be on the “must-do” list if you are visiting Auckland. 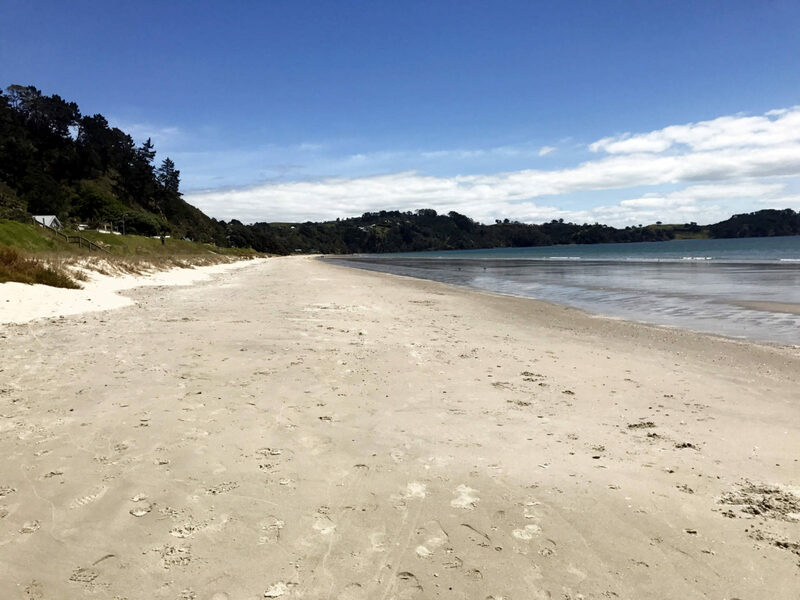 Getting to Waiheke Island is a 40-minute boat ride from the Auckland Harbour. It is operated by Fuller Tours. We opted to do their Island Explorer bus tour that cost $50NZD and that includes ferry tickets, and an all-day bus pass. They also offer a wine tasting tour (which appears to be what Waiheke Island exports a lot of!). If you are on a budget, you could walk it, but I wouldn’t recommend it as it is pretty hot and hilly! 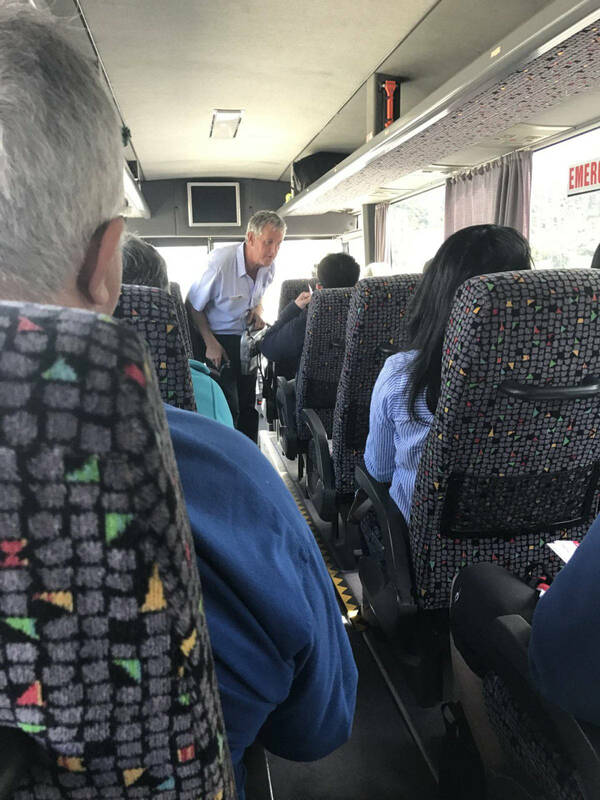 So if you decide to go on this tour, maybe ring up in advance and ask who the tour guide is for each session, and choose one of the other ones! G: “Did you pay for the ticket or did you get it free?” – ZINGER! The tour went round the Island taking us through the small villages, through some vineyards, and along the coast. Glenn stopped at some photogenic points to take pictures and walk about. 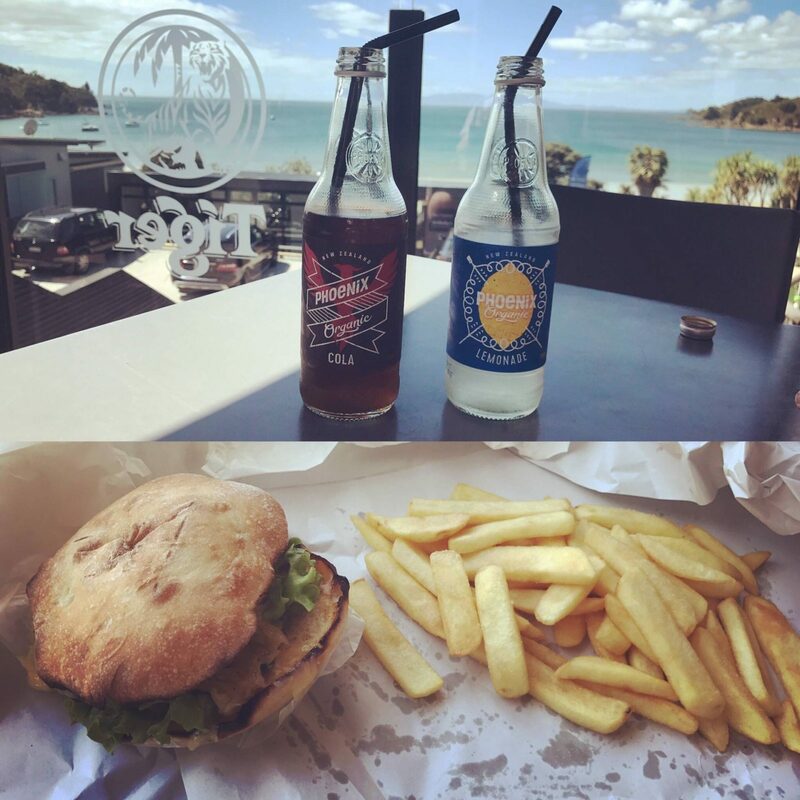 We hopped off the bus in the village of Oneroa (which is just before the ferry terminal) to get some lunch. We walked down the main road and the restaurants were fairly pricey if you just want a relaxing lunch. However, we spotted an awesome fish and burger place down some stairs called The Local. 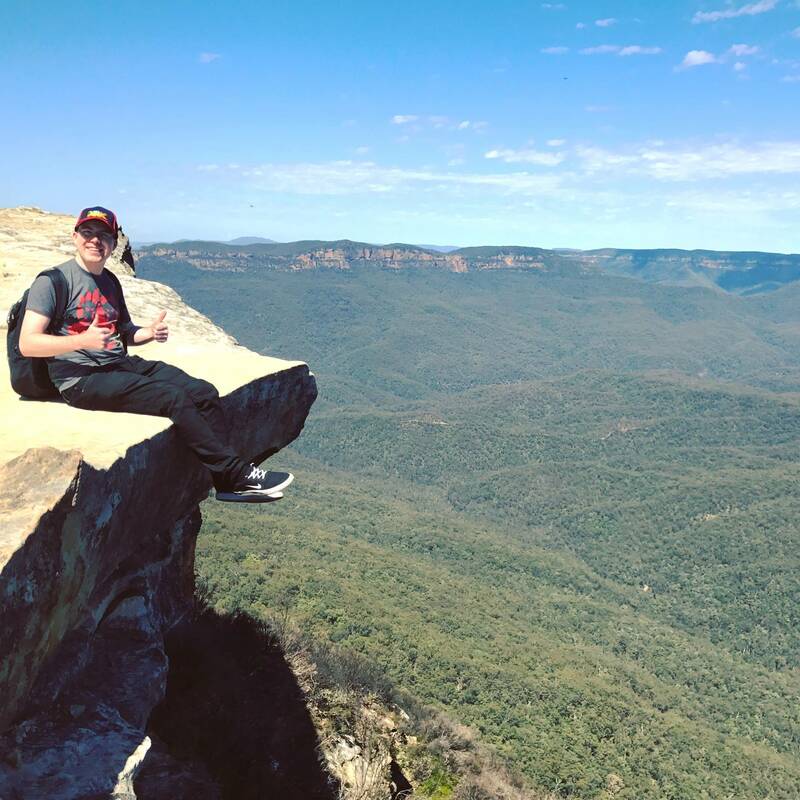 I think it is safe to say you could call this the ‘million dollar view’. We then popped to the Island Galato Co for some ice cream!